Oil & gas, metals & mining, and construction sectors emerged among the top 10 performers with over 10 per cent growth in both revenue and profitability between 2016 and 2017, said a report. Pharma, banking, and medical devices turned out to be the weakest performers with less than 10 per cent growth across both measures, added the latest business sector performance analysis 2017, researched by GlobalData, a leading data and analytics company. In its latest research, GlobalData analyzed the total revenue and profit change of 10 core business sectors that it tracks, based on the performance of the top 25 publicly traded companies in each sector (2017 vs. 2016). Sectors such as technology & communication, insurance, power, and consumer reported double-digit growth in profits, despite subdued growth in revenue. The collective change in the aggregate year-on year revenue and net profit performance of the combined list of 250 companies across these 10 sectors, stood at 10.5 per cent and 24.9 per cent, respectively. Of the top 25 banks, Royal Bank of Canada, TD Bank, HDFC and Sberbank reported a double-digit revenue growth, while HSBC, Commonwealth Bank and Itau Unibanco witnessed a fall with 10 banks achieving a double-digit profit increase in 2017. HSBC reported an exceptional growth of 335.6 per cent in its net profit on the back of a strong performance from Asia, and non-recurrence of one-off costs that hampered last year’s profitability. The revenue of eight construction companies grew, with Country Garden, China Evergrande and Anhui Conch growing over 30 per cent. Seven companies registered a growth of over 50 per cent profit, with Country Garden and Anhui Conch witnessing a profit growth of 98 per cent and 83 per cent, respectively. Seven consumer companies grew more than 10 per cent in revenue. Anheuser-Busch, Kraft Heinz and Reckitt Benckiser were the exceptional performers in terms of profit. Of all the top 25 insurance companies, AIA Group, Ping An, China Life, Prudential, China Pacific Insurance, Manulife, Progressive and Tokio Marine reported a double-digit growth in revenue. Eleven companies reported more than 40 per cent profit growth, while eight companies reported a decline in their profits and two reported net loss. The collective profit growth of 291.4 per cent, recorded by the top 25 Metals & Mining companies in 2017, was the highest among all sectors. The revenue of four companies grew more than 30 per cent, while two firms reported a decline. In terms of profitability, Barrick Gold’s net profit surged to 119.5 per cent as a result of the reversal of impairments and gains on sale of interests in Veladero mine and the Cerro Casale project. With a significant 204 per cent growth, oil & gas stood second in profit growth. 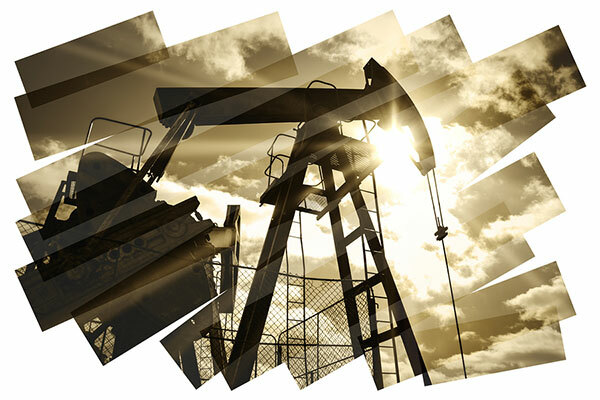 The revenue of 22 Oil & Gas companies achieved double digit growth. Chevron, Equinor, EOG Resources, Occidental Petroleum, Eni and Mitsubishi Corporation returned to profit in 2017, as the sector recovered. In the power sector, Southern Co, Iberdola and CLP registered a revenue growth of over 10 per cent, whereas revenue in EDF, AEP, Hanwha, MEC and ConEdison declined. Exelon, Engie, National Grid, AEP and Orsted were the exceptional profit performers, with above 140 per cent growth rates. Among the 10 sectors analyzed, Pharma was the only sector to have experienced mixed results in 2017. The top 25 pharma companies reporting a 4.1 per cent growth in revenue and a 23.9 per cent drop in profits with eight companies reporting a decline of more than 30 per cent in profits. Overall, the revenue of seven companies and the net profit of nine companies achieved double digit growth.